Hit up the Swift this afternoon for a couple hours after work. It did not disappoint. The fish were on and aggressive. 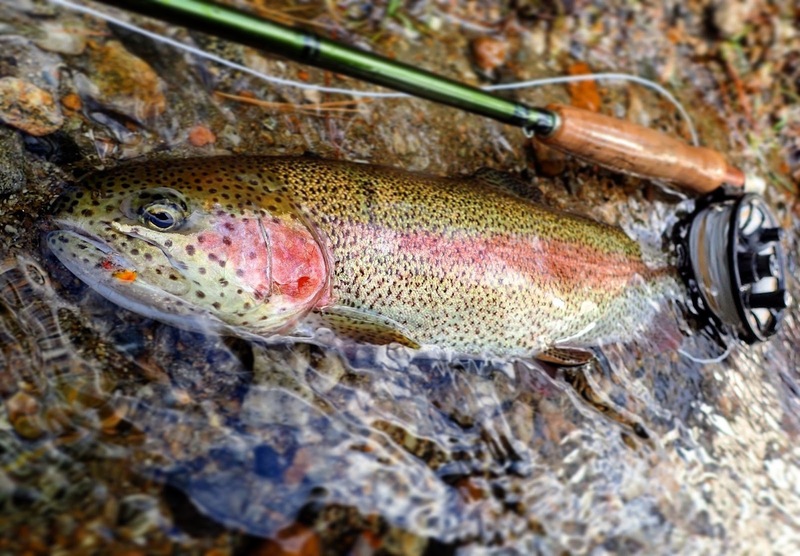 The rainbows were up on shallow gravel and losing their minds. I’ve heard that one of the rainbow strains stocked by the state are fall spawning fish – that would certainly explain the behavior and the color of the males. However, they also could have been simply gorging on brook trout eggs as the brookies are definitely in full spawning mode. 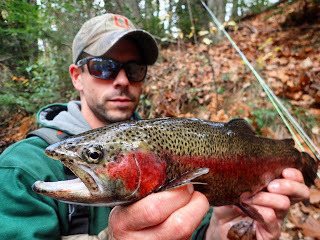 I caught and released about 6 or 7 fish, a mix of brookies and rainbows. No browns which had me a little bummed (only a little though, considering). Some of the most beautiful fish I’ve caught yet in my fishing here in Mass. They all took a small brownish soft-hackle type fly with a tiny orange yarn egg for a head…I think it’s called a “Chicken Little”. 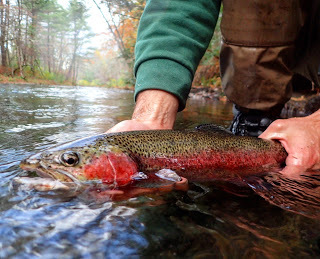 We used to use for steelhead in the Great Lakes tributaries. The took it dead-drifted, slowly stripped, or swung and twitched. It almost didn’t matter, which is rare for a river like the Swift I think. I didn’t see another person fishing anywhere nearby. Sure there were a lot of anglers but they were concentrated at specific spots whereas I liked my privacy and fished some of the less obvious features. Check out the pics of some of the more impressive specimens! 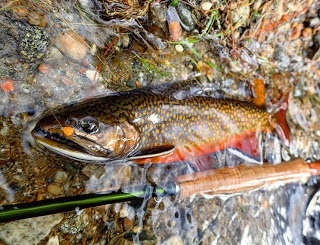 That's one beautiful brook trout. Beautiful Brookies. I was at the Swift yesterday also. I saw you as I was walking out. I had a great day also including my personal Best 20" Brown trout! The fish put up an amazing fight. That's great Mike! Stop and have a chat next time you catch me out fishing. I've caught hundreds of rainbows like that out of the swift, but a nice brookie like the ones above are the real deal. Looks like the flow is back down to a good level. Hopefully it'll stay that way over the weekend with the rain. Were you above or below RT. 9? There's the nice gravel stretch above RT. 9, but I try to stay out of there bc of the redds this time of year. Great reminder. I too try to avoid going above Rt. 9 when the brookies spawn. The veterans tell me there are many brookies well south of the hatchery pipe. 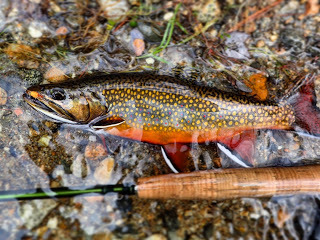 I've heard the same about the brookies, but haven't been in a week or two. I agree about the reminders, and wanted to put that out there in case anyone who's new to the river reads the post. Well done! 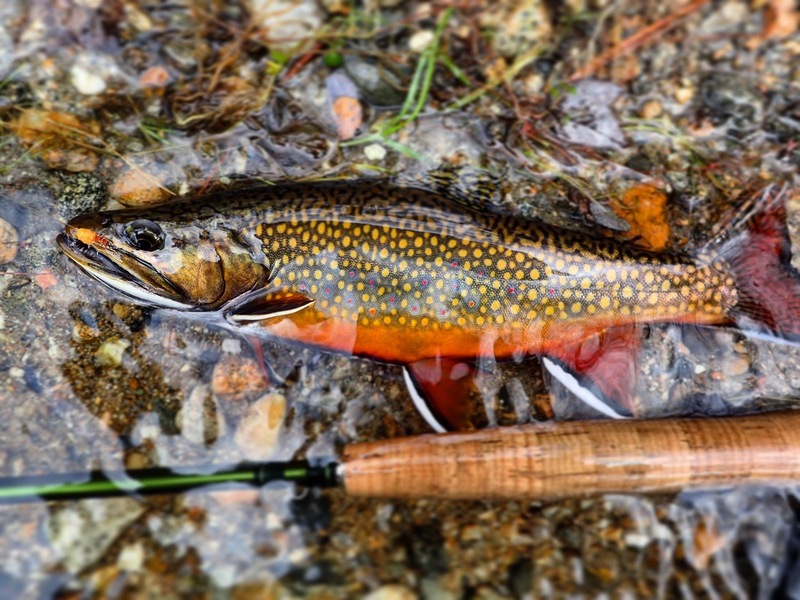 Rainbows are beautiful, but the brookies are something else this time of year! 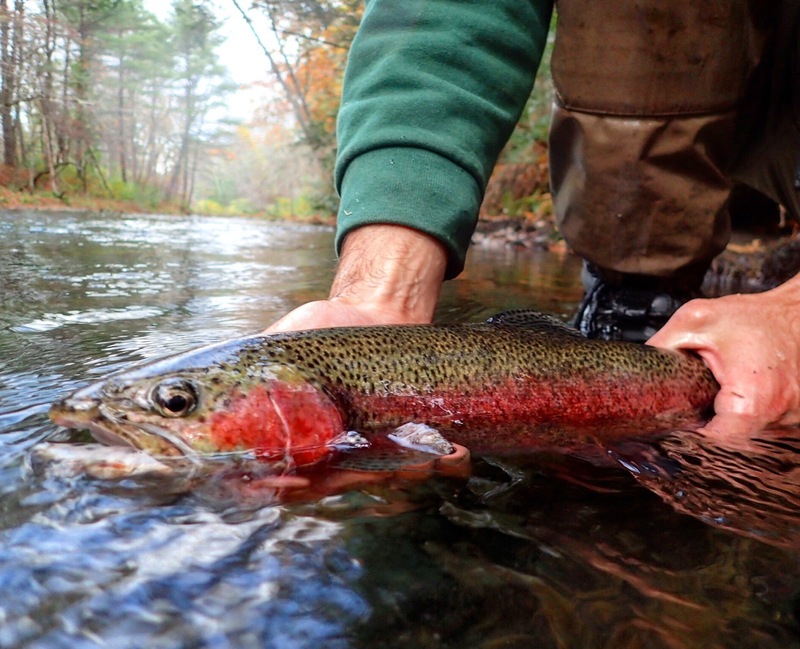 Do you typically fish below route 9? Or do you have any luck in the slower water above the bridge but before the Y pool?